Southern California-based blues band Crooked Eyed Tommy has been making quite the name for themselves since the release of their well-received 2016 album Butterflies & Snakes, which reached number fifteen on the National Roots Music charts for blues releases. 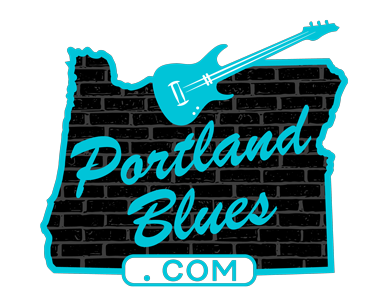 They have participated in the International Blues Challenge, and Ventura County Music Awards declared CET the best blues band in 2015. 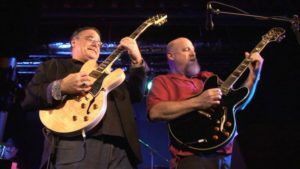 Led by songwriting guitarist Tommy Marsh, the band continues to thrill audiences not only up and down the West Coast, but across the country too. Tommy’s slide guitar work is fascinating, and he’s joined by brother Paddy on second guitar filling in all the right riffs to offer their audiences a full package of great blues. Crooked Eyed Tommy will be heading to The Birk, 11139 Hwy 202, in Birkenfeld, Saturday, July 1 for a 7:00 pm show. Joining the band for this night will be special guest Rae Gordon. Admission is $10.00 at the door.